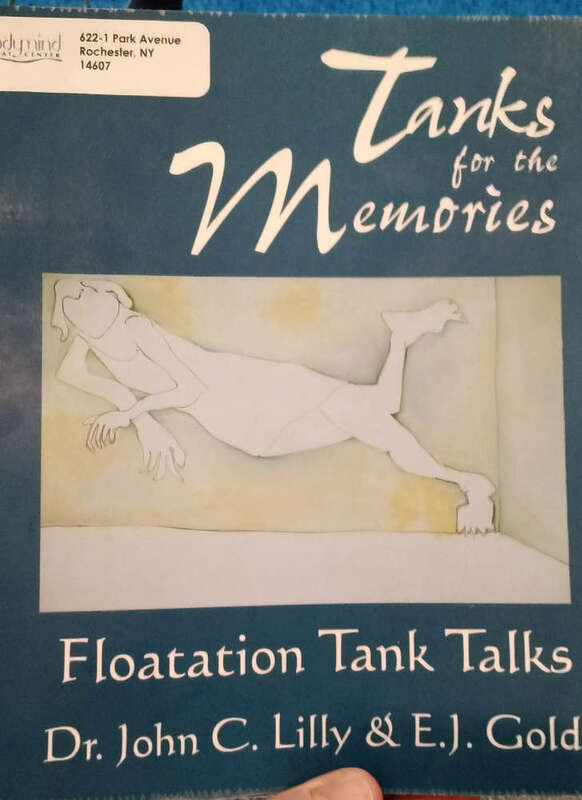 This is a follow-up post to Thoughts After my First Float. In that post, I had just gone to Rochester’s BodyMind Float Center. That first experience was promising, and I looked forward to another go. This time through was… just a warm bath in the dark. I have found myself remembering my dreams more than usual lately, perhaps due to a few months of nightmares that I can’t seem to shake. Obvious ones come in the form of panicked work-dreams — heart-pounding anxiety dreams where I wake panting and needing a cool glass of water to calm me down. Others are more nebulous and unclear in their imagery. And then there are the ghosts. When I was young, I decided to make a thorough tour of my local library by starting at Dewey Decimal 000 and working my way up. I didn’t get too far because I got very wrapped up in 110 – Metaphysics and 130 – Parapsychology. Aside from books discussing psychokiesis, ESP, ghosts, and transmutations of the soul, there were books that discussed various states of consciousness and the (miraculously extensible) limits of the human body. 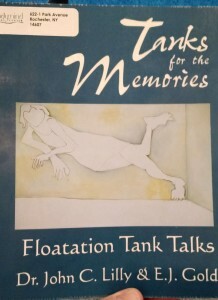 This is where I first learned about things that continue to exist on the fringes of science, but that seem to be reaching more into the mainstream public’s spotlight of attention — lucid dreaming, cryonic preservation, and sensory deprivation, among others. Clearly, I was interested in trying it for myself. This post, is, of course, not particularly serious, even though the premise might be an interesting one to see better stats on. It all centers on this article out of the Telegraph last month. Go ahead — read it. It’s short. But if you don’t want to, the basic gist is that the UK made language classes optional, and British school children don’t seem to really be all that interested in taking foreign language classes if they’re not required. Enrollments have dropped almost by half in the past 10 years to the point where the average number of languages spoken by Brits today is: 1.0. Since I assume few Brits speak fewer than one languages, this means the entire country is almost exactingly monolingual. What’s doubly interesting to me is that most of Europe isn’t much better. The continental average: 1.4. Now, I’m going to take a wild, wild leap here, and wonder about the possible connection to other phenomena. In the last post I made, I gave some of my thoughts on Quentin Atkinson’s Science paper earlier this year, where he demonstrates that evidence of human migration patterns is still available in the world’s languages if you squint right. His mechanism works on something called the founder effect, which, in terms of evolutionary genetics, provides that new, small offshoot populations will exhibit less genetic diversity than large populations. He assumes the same thing applies to language, and I disagreed. Instead I argued that mechanisms of language contact (which have been observed reducing phoneme counts) would better account for his results, with some possibility that Homo sapiens may have had simplifying linguistic contact with other hominids. Sure, there’s the chance of gastrointestinal ulcers and stomach bleeding, but part of me wonders why aspirin doesn’t appear to be used in any foods. In fact a search for cooking with aspirin reveals no recipes whatsoever. This is fairly surprising to me. After all, acetylsalicilyc acid has a light sour taste that is not unpleasant, and would go nicely in certain types of sweet foods, particularly in something like these. There are too many sci-fi scenarios of future dystopias dominated by evil robots to count on one hand. The basic thread common to most of those is that computers eventually advance to a point where the Technological Singularity is reached, sheparding in an era in which this new class of better-than-human intelligence quickly starts to despise, revile, and eventually seek to destroy all of humanity. If it should seem odd that fiction rarely portrays the robot overlords as beneficent, well, there’s a reason for that — that would largely be boring.